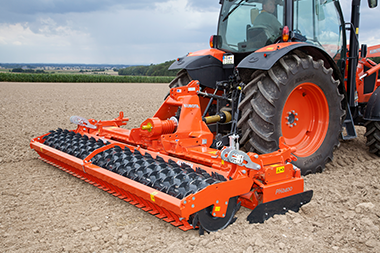 Kubota now introduces the new rigid PH2001 series rigid power harrow. It is an updated and evolved version of the existing rigid PH2000 series which has been improved following demands and requirements of professional farmers. 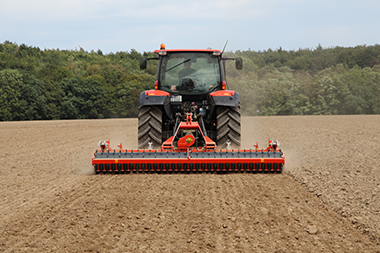 Starting from the well-known and reliable PH2000 models, designers have been able to reduce the weight (by 65kg on a comparable 3m PH2300) and increase strength of the horizontal transmission whilst keeping the interchangeability of the main components and integrations with all Kubota seeders. 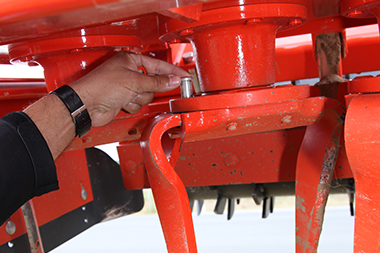 Simpler adjustments together with excellent field performance will make the new mid-sized PH2001 series power harrow a success in the Australian market. Ample clearance of 90mm between the trough bottom and the tine holder. 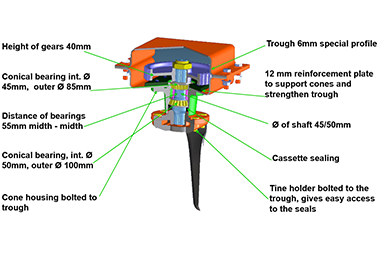 Fully welded rotor housings ensure high bending and torque resistance to the trough when working in very tough soil conditions. 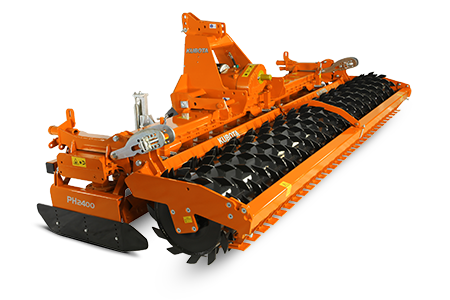 PH2001 Series: Two profiled 6mm plates ensuring precise rotor spacing, high bending resistance in the 140 x 400mm trough. 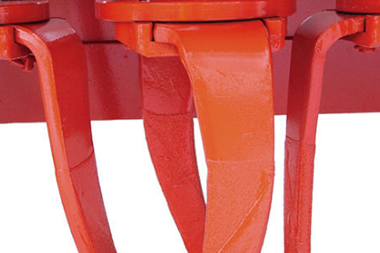 The SD drill is exclusively designed to be combined with Kubota power harrows (PH2001 series).